A quick and easy way of providing cover from both the sun and rain. It is lightweight making it easy to install, yet durable and weather resistant. With a tinted grey heat reflecting UV-stabilised polycarbonate cover and high-impact resistant side brackets. 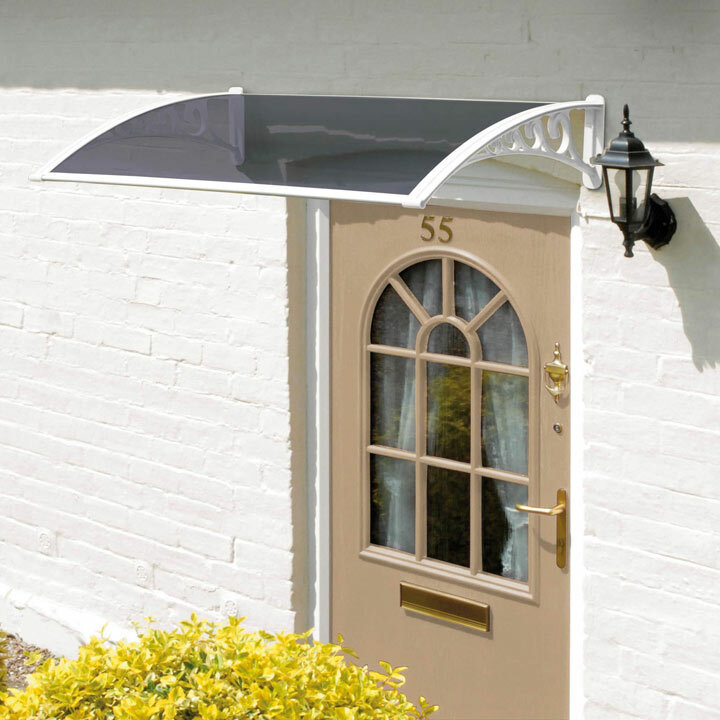 Aluminium front and rear profiles with a rubber seal at the back ensure a secure fit. Supplied with wall fixings. 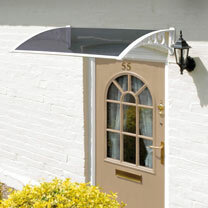 1.2m overall size 120 x 80cm, 3mm solid grey polycarbonate cover. Bracket height 23cm.